The 12th festival ‘Japan Information and Communications Technology Day 2018 (Japan ICT Day)’ was officially launched in Hanoi yesterday. 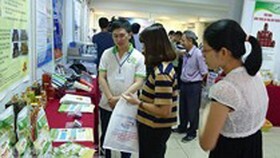 The festival has the theme of ‘Information Technology Collaboration between Vietnam – Japan in Industry 4.0’. 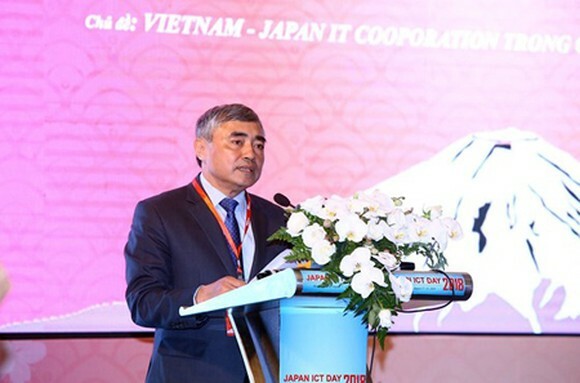 Japan ICT Day, regularly held since 2007, is the most important event to boost the business cooperation among Vietnamese and Japanese information technology (IT) companies. 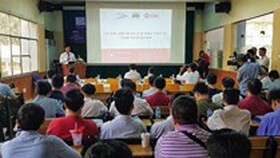 It is jointly organized by the Vietnam Software Association (VINASA) and the Vietnam – Japan IT Cooperation Club (VJC). The festival this year is one of the activities to celebrate the 45th anniversary of diplomatic relations between Vietnam and Japan. 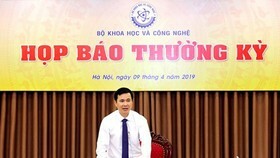 Deputy Minister of Information and Communications Nguyen Minh Hong stated in the event that there has been impressive and comprehensive development in the collaboration between the two nations to increase prosperity. Until now, Japan has become a leading economic and investment partner of Vietnam. In 2017, it was the country with the largest amount of foreign direct investment into Vietnam, pouring over $9 billion and accounting for more than 25 percent of the total foreign investment capital into the country. The collaboration between Vietnam and Japan in the field of information and communications has been continuously fostered in the management as well as enterprise levels. 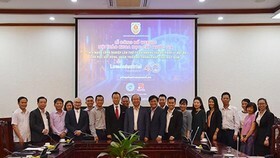 The Vietnamese Ministry of Information and Communications has signed many comprehensive cooperation agreements with the Japanese Ministry of Internal Affairs and Communications, including those to monitor the radio frequency, ensure information security, manage postal merchandise, and train IT human resources. Both countries are now on their way to implement the action plan to develop the electronics industry in the framework of the cooperation until 2020 and vision to 2030. In 2017, the IT working team of two nations was formed to apply all suggestions approved by both sides. Regarding software development, Japan has always been a major market of Vietnamese businesses since most of them are able to receive lucrative profits after taking part in writing and then exporting software to the Japanese market. 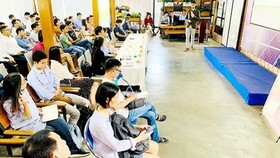 This has helped Vietnam enter the top-10 list of most attractive nations for software development, accounting for an average 15-percent growth per year. According to Deputy Minister Nguyen Minh Hong, his ministry is preparing the project to digitize many aspects of the nation in order for Vietnam to keep up with other developed countries in Industry 4.0. 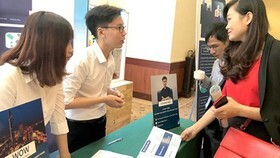 In the event, many delegates agreed that human resources are a strong point of Vietnam in the IT field. As stated by the Programme for International Student Assessment, (PISA) of the Organization for Economic Co-operation and Development (OECD), learning results of Vietnamese students are always in the top-20, especially in math and science. This is an ideal foundation for the IT training in further education. 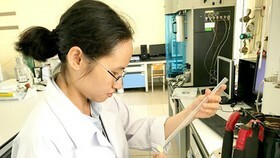 At the moment, 290 universities and colleges in Vietnam offer IT training, with around 55,000 students. Statistics of HackerRank (from the US) also stated that Vietnam is the leader in the Southeast Asia region and the 23th in the world as to the potential of software development. Japan now has a shortage of 171,000 IT engineers, and will need 369,000 more in the future. 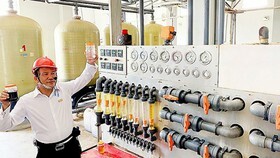 It also wants 48,000 engineers in the technological fields in 2020. This signals a prominent collaboration between Japanese and Vietnamese enterprises in the near future. According to surveys from VINASA and VJC, the number of cooperative projects to make use of cutting edge technologies between the two nations substantially increases and many small businesses have achieved their success in the field. The IT collaboration between Vietnam and Japan in Industry 4.0 was discussed in full detail in the talks ‘Improving the Quality of IT Collaboration between Vietnam – Japan’ and ‘Status of IT Collaboration in Cutting Edge Technology Projects’. Taking part in the talks were leaders of many prestige leading companies in both countries like Luvina, Toshiba, Rikkeisoft, DTS Software Vietnam, Deha, NTT Data, FPT, and JTS. Many agreed that despite certain limits and difficulties, the IT cooperation between the two nations has been greatly improved, bringing much practical profits to both. Participating in the event were Deputy Minister of Information and Communications Nguyen Minh Hong, Japanese Ambassador in Vietnam Yuichiro Uchida, and more than 350 domestic as well as international delegates, including 8 delegations with 80 people from Japan. 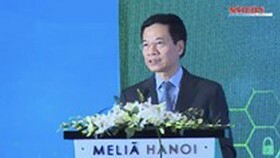 The 4th Industrial Revolution (Industry 4.0) with many cutting edge technological trends like Internet of Things (IoT), Big Data, Digital Transformation, has delivered a number of considerable opportunities for technology collaboration between Vietnamese and Japanese enterprises thanks to the enormous human resources of the former country.